← Which smartphone has the smartest users? An analytics product is only as good as the accuracy of its unique user identification. With mobile app analytics user identification has traditionally been simple and very accurate because each mobile device has a Unique Device ID, the UDID, which can be accessed by the application and the analytics code within. As the name suggests, this identity is tied to the device, rather than a mobile SIM card or the individual user, and persists across all applications and sessions. So, unlike traditional web tracking techniques, such as cookies, this UDID is permanent and cannot be deleted – there are no simple concepts of opting out from app tracking. So Apple’s recently announced plan to remove access to the Unique Device ID (UDID) on all iPhones and iPads has presented a challenge for many mobile app analytics companies. Since most are designed to only use the UDID to uniquely identify users, the Apple news has forced them to develop new iOS SDKs that use other methods of user identification. 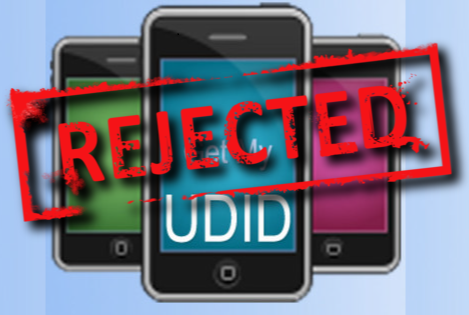 The favourite solution is to simply replace the UDID with a different unique device ID, such as the WiFi MAC address – another readily available device specific identity. But the question is whether simply switching from one device identity (UDID) to another (Wi-Fi MAC address) is really what Apple intended? If Apple wants to ensure each customer has full control over how they are being tracked and can opt-out, then simply switching from UDID to another device specific identity may not actually meet their requirement, so this change could turn out to be a temporary step. Apple may choose to eventually block apps that use this alternative method also. At Bango we make this easy, for example, for a long time we have provided our customers with simple opt-out capabilities, allowing users to delete their tracking identity. Your customers have a relationship with you, not the analytics company you select. Yet the licence provided by many analytics companies has them owning the rights to all your data. In some cases the analytics code you put into your apps is closed, so you don’t have full visibility to the information it is really recording. Analytics companies effectively get to see all your users across all your apps – in fact they get to see them across all the apps using their analytics solution. That’s a lot of information about your customers and the apps they use, so the question is what they do with that information and the privileged position they command. At Bango all the data you record about the activities of each of your customers is owned by you – the company that the customer has the relationship with. We think that’s important, both for you and your customer. We ensure your data is safe and secure and never shared with anyone else. Mobile is a fast moving new frontier, so you need to be prepared when things change. The best mobile analytics solutions use a wide range of methods to measure and predict activities being performed by the same person and should not depend on any single fixed identifier like UDID or WiFi MAC address. As devices, technology and policies evolve, or companies like Apple change their rules, the best analytics products adapt and continue to deliver quality and accuracy. Bango Analytics possesses a unique server based user identification technology that looks at a number of device and connection characteristics to predict user activity to a much higher accuracy. Our solution even links customer activities across mobile websites, advertising campaigns and app sessions. Because Bango uses multiple data points it also makes it easier to continue delivering accurate results once valuable information, such as the UDID, becomes unavailable. I predict there will be many further changes to mobile policy and technology in the coming years, so getting these three simple points right today will minimize disruption, avoid disconnects in your data and protect your business and the relationships you have with your most important assets – your customers. It’s a simple point, but one that most of the popular PC centric analytics products fail to address. This entry was posted in iPhone, mobile analytics. Bookmark the permalink.